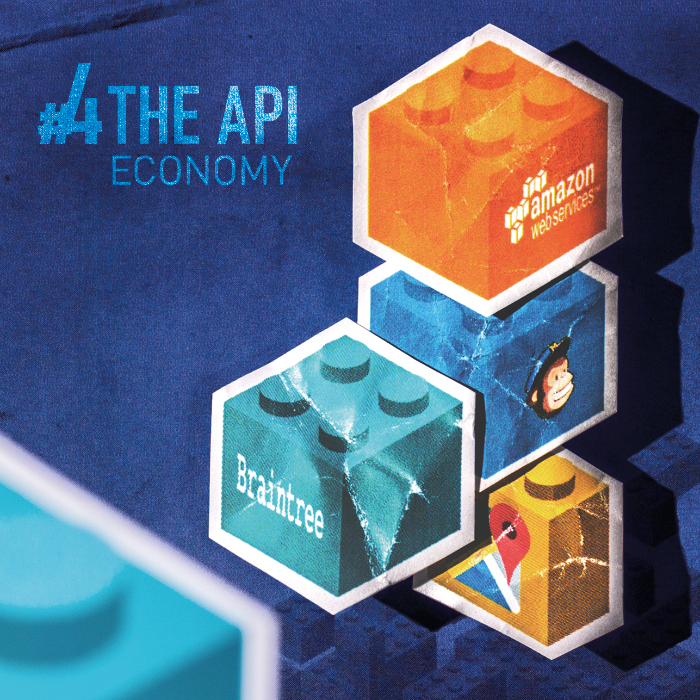 Trends 2016: The API-Economy - CREATIVE CONSTRUCTION - Web and Mobile.Full-Service. Within a timeframe of just six years, Uber’s exponential growth catapulted the company to a valuation of USD 62.5 billion, a number that is close to the market cap of industry titans like BMW and Volkswagen. Uber’s services are available in over 300 cities worldwide, and 1 billion drivers are on the road for the company. Mass protests have raised public awareness of the disruptive potential such a service can have on old, established industries. However, Uber is just one example of a new type of company whose power to disrupt entire industries rests on one principle: the API economy. In the meantime, this cryptic sounding acronym has taken the top spot on the agenda of every CEO who does not wish to share the taxi industry’s fate. API stands for “Application Program Interface” and refers to specifications or protocols for data exchange or service requests from an organization. Making Uber’s services possible requires a lot of components: the geographic location of the user as well as that of the potential drivers has to be determined; the distance between the two and the most practical route must be calculated via a map; the user should receive push notifications to announce the imminent arrival of the driver; payment must be facilitated via the app without cash, and a receipt is to be sent via e-mail; the app must operate without interruption even during peak demand. Each one of these components is highly complex and would require a great deal of time and investment if they had to be developed by a startup from scratch. In the last several years, however, specialized players have come along who now provide the functions of each one of these components and make them available to other companies via an API. In this way, all these components can be orchestrated into an app to provide a service like Uber, without having to deal with the underlying complexities of each element. Positioning is possible via the operating system (iOS, Android); route calculation and maps are provided by MapKit and Google Maps; Cloud Messaging enables the push notifications; payment is handled by Braintree; the receipt is sent via Mandrill, and cloud hosting services like Amazon Web Services (AWS) ensure consistent performance. This process of orchestrating APIs into a new whole is what separates tomorrow’s disruptors from the incumbents that build their technologies from start to finish themselves. These startups integrate the state-of-the-art expertise of specialized players into their apps via a push of the button and can then concentrate on the user experience and customer acquisition. Traditional organizations, on the other hand, are busy recruiting experts for the development of the required components. Thus, instead of spending all their time and effort on building services that someone else can provide more effectively and much better, these startups are focused on the 1 percent that makes a difference in the perception of the customer. With only 20 employees, Instagram successfully grew to a company that Facebook deemed worth acquiring for USD 1 billion. Within just five years and with fewer than 50 employees, WhatsApp attracted 400 million users and was acquired by Facebook for USD 19 billion – and managed to wipe out the entire, 33-billion-dollar SMS business of telecommunication giants along the way. Each and every industry that fails to leverage the potential of APIs to their advantage, increasing speed and focus on the customer experience, is in for the same kind of rude awakening. One banking startup has turned the customers’ frustration with the user experience of traditional banks into its USP: while opening a bank account online used to be a tedious process with many interruptions, number26 now lets you complete this process in just eight minutes, online only. By integrating services such as IDnow, identity verification is now done via webcam instead of a walk down to the post office. number26 does not operate its own bank: by integrating Wirecard Bank behind the scenes of its slick app, number26 does not have to deal with the complexities of the banking system on its own. Even though other banks now also offer identity verification by webcam, their speed of development is still determined by their legacy systems – impediments number26 does not have to deal with. It can focus all its attention on just the aspects that actually matter to the customer and enable a differentiation at the user level: product design and user experience. According to Valentin Stalf, founder and CEO of number26, big banks missed the boat, and implementation of number26 with a traditional bank is not feasible in the near future. He points to the flexibility that Wirecard Bank provides his company by facilitating a bank via API. Given that traditional banks cannot be accessed via such a standardized interface by a third party, implementing number26 with a traditional player is not even an option. The number26/Wirecard Bank example not only demonstrates the cost effectiveness of developing new services via APIs, it also shows the strategic relevance of APIs: by offering external customers the entire spectrum of banking services via an API, Wirecard Bank benefits from the innovations of new players who experiment with a variety of approaches for a customer banking experience and thereby generate new customers for Wirecard Bank. If some of these approaches are unsuccessful, this is not a problem for Wirecard since the bank did not invest its own money in these trials. BY MAKING YOUR OWN CORE COMPETENCIES ACCESSIBLE VIA API YOU BECOME PART OF AN ECOSYSTEM AND NO LONGER HAVE TO DEVELOP ALL IDEAS ON YOUR OWN OR IMPLEMENT THEM WITH JUST YOUR OWN INVESTMENT. Twitter became a textbook example of this principle: while early development was slow and most users found the platform unintuitive and almost inoperable, Twitter was able to benefit from the ideas of a broader community of developers by offering an API. This brought about the integration of images in Tweets (TwitPic) and operation via a user-friendly interface (Tweetie, Tweetdeck) which, in turn, resulted in Twitter growing to a multi-billion valuation. In search of a business model, Twitter centralized its 2010 development and limited the use of its API. This move proved damaging to the developers that made Twitter great, and the company has since met with little success and continues to look for a sustainable future. Today, a broad spectrum of companies are represented in the list of over 12,000 available APIs, with which their providers try to make their services an indispensable part of the ecosystem. Salesforce already generates 50 percent of its revenues via APIs, Expedia 90 percent, eBay 60 percent, and IBM has allocated USD 1 billion to the commercialization of its artificial intelligence, Watson, via API (also see Trend: AI Revolution). In the meantime, Uber, whose success was made possible by the skillful orchestration of APIs, now also offers its own API, which allows its services to be integrated in the applications of United Airlines, Open Table, or Google Maps. This benefits both parties: Uber gains additional exposure and customers, external partners can complement their services for customers, and both participate in the attained revenues. Similarly, UPS has taken over a large share of the package shipping market because online stores can easily integrate their services into their shopping process. However, the new possibilities afforded by integration also carry some risks for service providers that are associated with the advantages of increased distribution: for example, you can now book Uber services directly from Google Maps. Will this lead to a commoditization of the service? 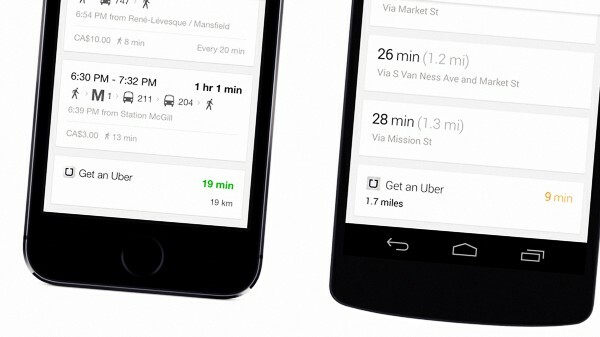 Will it matter to the user if the service is provided by Uber, Lyft, or another entity when Google Maps becomes their interface for interacting with this service? Will this have negative effects in terms of loyalty to a specific service if the interface layer (in this case Google Maps) is placed over this service? The API strategy is not a binary decision: APIs can be publicly available to all, or only a limited few. It is only via the creation of APIs, however, that incumbent companies that have to deal with the complexity of their legacy systems can actually develop the speed and agility required for survival. Backend and legacy systems (such as the core banking systems of traditional banks) require long release cycles and are by the very nature of the consequences extremely intolerant of errors. This kind of development tempo, however, is unacceptable from a user perspective. Communicating with a backend system via APIs enables the creation of a two-speed IT infrastructure: the integrity of the backend system is maintained while an agile frontend layer is updated with customer feedback and needs in weekly or even daily releases. Only by using APIs can companies go to market quickly, and only by providing APIs and establishing an ecosystem can they scale up to be competitive. In this process it is key to clearly determine the core competencies of the company. These should be strengthened by integrating everything somebody else can provide better into the core product via API without having to reinvent the wheel, while making the core competency itself available to others via API. While making your own services available for integration into other apps via API can initially result in increased distribution and experimentation with other application scenarios, there is a threat that your service becomes commoditized if you are no longer the owner of the user experience layer. This is the layer in which you interact with the customer and establish customer loyalty. The services provided remain in the background and may be interchangeable in the competitive marketplace: whether a driver from Uber or Lyft shows up to take the customer to the desired destination, or whether Wirecard Bank or another bank provides the banking services is irrelevant to the customer as long as the customer’s needs are successfully met. Product success or failure will be determined less by technology and more by the user experience. There is a reason why large consulting groups as well as Google and Facebook have acquired agencies specializing in digital design. What determines the winner is simplicity (and speed) of use – the most successful companies reduce inefficiencies. Differentiation and loyalty are achieved in the user interface while the services themselves are reduced to a commodity due to competition and similarity with one another. This, of course, affects the allocation of attained revenues and profitability of the business. Companies that dominate in the interface layer can promise lower costs and higher margins and compete on the design level, not the operations level. This is why messengers are trying to occupy this layer and the battle for the best user experience will be crucial for each company’s future success (please also see Trend: Messaging as Platform). APIs are a must have if you don’t wish to fall out of the race before it has even begun. An outstanding user experience, however, will determine the winner.